The Department of Geology has good facilities and laboratories to cater to the needs of practical course- work of M.Sc. students as well as for research. Geology is the study of the interacting systems of the solid Earth with atmosphere, hydrosphere, and biosphere as they evolve through time. The courses offered at the Department focuses on the scientific study of the earth. Geologists discover, develop, and responsibly manage minerals, energy, and other earth resources. Geological knowledge enables to ensure a sustainable development of natural resources and the use of these resources responsibly. The courses offered by the Department covers a wide range of core courses in geology and allied subjects. It provides foundation for the study of fundamental geologic methods and problems, both in the laboratory and in the field. It includes instruction in geomorphology, sedimentology, hydrogeology, geochemistry, stratigraphy, mineralogy, petrology, geostatistics, geophysics, remote sensing, environmental geology, economic geology, geophysical principles and geoinformatics. These courses are designed such that they blend traditional basics of earth sciences with the emerging cutting-edge geo-spatial applications and techniques so that the students are equipped with both theoretical constructs and practical applications of the subjects. The Department of Geology strives to achieve academic excellence and to produce geoscientists with world-class training. 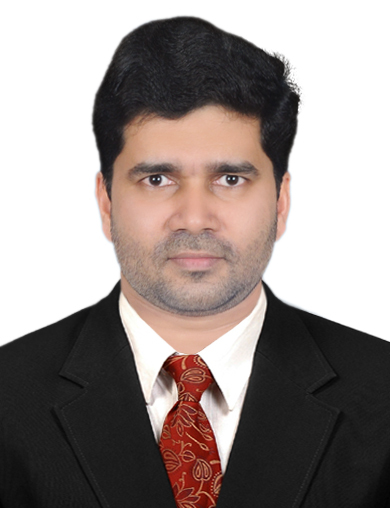 Prof. Mohammed Aslam M. A. A National Conference organised under the theme “Science and Technology in the Disaster Management” by School of Earth Sciences, Central University of Karnataka on 22nd and 23rd January 2015 in collaboration with Karnataka Science and Technology Academy (KSTA). A National Conference organised under the theme “Emerging Trends in Earth Sciences” by School of Earth Sciences, Central University of Karnataka on 30th and 31st March 2015. A 10 day long field work was carried by two faculty members and one research scholar to First year MSc Geology and Second year B.Sc. Geology students. Study/Field work was conducted Tamil Nadu in the areas of Chennai, Pondicherry, Tiruchinapalli Formations etc. It was productive as students are trained with the Coastal Geomorphology, Mapping and Stratigraphic techniques. Marking the effects of depletion of Ozone layer and its importance in the atmosphere, Ozone day was celebrated in the Department of Geology demonstrating about the harmful effects related to ozone layer depletion followed by an Essay Writing Completation. It was held on 16th September 2014. First, Second and Third prizes were awarded for the same. Huge part of the CUK student community took part in the competition. The drinking water as well as the non drinking water in the campus/hostels are regularly tested and analyzed in the Department of Geology. Waters of girl’s and boy’s hostel, Kadaganchi hostel, Small RO water, Big RO water, Tap waters etc are majorly examined. As a part of curriculum students of MSc Geology and BSc geology undergo summer research training or Internships at prestigious institutes like Central Ground Water Board (CGWB), Bangalore, Indian Institute of Remote Sensing (IIRS), Dehradun, Physical Research Laboratory (PRL), Ahmedabad, National Institute of Oceanography (NIO), Center for Water Resources Development and Management (CWRDM), Kozhikode, etc. through these internship programmes students are regularly groomed up with the practical knowledge and gain exposure to such premier institutes. Projects/Dissertations Students of final year MSc students in their fourth semester shall go on to do a project/dissertation work for about 4-5 months. Geological Survey of India (GSI), National Geophysical Research Institute (NGRI), INCOIS, Atomic Mineral Division (AMD), IIRS, CGWB, NIO, PRL etc., are the various prestigious organizations/institutes that the students of the department undergo their project works. As a major mission started by honorable Prime Minister Shri Narendra Modi – Swachh Bharat campaign was actively done in the School of Earth Sciences premises. The campaign helped in making the department clean and green later on as well. 5. C. Manikyamba, AbhishekSaha, M. Santosh, SohiniGanguly, M. RajanikantaSingh, D. V. SubbaRao, andM. Lingadevaru (2014). Neoarchaean felsic volcanic rocks from the Shimoga greenstone belt, Dharwar Craton, India: Geochemical fingerprints of crustal growth atan active continental margin. Precam. Res. 252, 1-21. 6. C. Manikyamba, AbhishekSaha, SohiniGanguly, M. Santosh, M. Lingadevaru, M. Rajanikanta Singh, and D.V. SubbaRao. (2014). Sediment-infill volcanic breccia from the NeoarcheanShimoga greenstone terrane, western DharwarCraton: Implications on pyroclastic volcanism and sedimentation in an active continental margin.J. Asian Earth Sci.96, 269-278. 7. BabuNallusamy (2015), Morphology, Trace, and Rare Earth Elements of Detrital zircon of Kayamkulam, thottappally Placers, South West India-Implicatins for Provenance, Marine Georesources and Geotechnology, 33:5, 437-446. 14. Shruthi S, M.A M Aslam 2015, Agricultural Drought Analysis Using the NDVI and Land SurfaceTemperature Data; a Case Study of Raichur District, Elsevier Journal, Aquatic Procedia, Vol:4, pages 1-1568(2015). PGE Potential of Mafic-Ultramafic Complex of Yedegondanahalli Area, Holenarasipur Schist Belt, Western DharwarCraton. Presented in 3rdAnnual International conference on Geological & Earth Sciences held during 23-23rd September 2014 at Singapore. 2. Watershed Development and Management: Remote Sensing and GIS Approach – A Case Study of Gulganjihatti Sub-watershed, HolalkereTaluk, Chitradurga District. 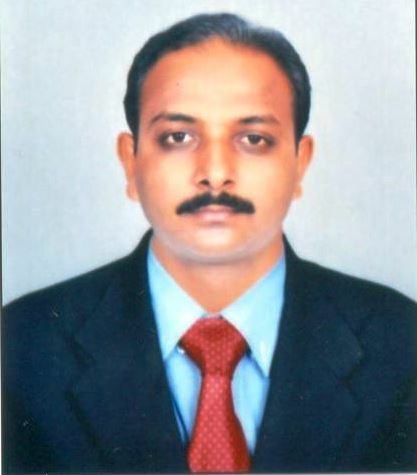 Presented in National conference on Emerging trends in Earth Science, held during 30-31st March 2015 at Kalaburgi. 3. Mapping of Dykes of Southern part of DharwarCraton Using Remote Sensing, GIS and GPS Techniques.Presented in National conference on Emerging trends in Earth Science, held during 30-31st March 2015 at Kalaburgi. 1. Studies on Textural characteristics and Heavy Mineral Compositions in Sediments of Cochin Estuary, South-West coast of India. National Conference on Emerging Trends in Earth Sciences, March 30-31, 2015, Central University of Karnataka, Kalaburagi. 2. Ground Water Quality of Aland Taluk, Kalaburagi, Karnataka.National Conference on Emerging Trends in Earth Sciences, March 30-31, 2015, Central University of Karnataka, Kalaburagi. 1. Attended workshop on “Science Special Lecture Series in Earth Science and Geoinformatics” – held by Department of Marine Geology, Mangalore University, Karnataka. 3. Attended workshop for 21 days DST Winter workshop on “Application of Geoinformatics in Earth Science” conducted by Hyderabad Central University. 4. Attended workshop for 21 days NNRMS sponsored workshop on “Fundamentals of Geoinformatics, GPS and Cartography techniques” organized by Geography Department, Bangalore University. 1. Attended a two day All India National Conference on the topic “WasteManagement and Pollution Control, and presented a paper titled “Solid Waste Management Problems in Jagalur”, at KLE Dr.M.S.Sheshgiri College of Engineering and Technology, Belgaum.Karnataka,(K.A) on 7th and 8th March 2014. 2. Attended three day 7th International Congress of Environmental Research (ICER-2014) on Dec 28-29 2014 and presented a paper on the topic “Ground Water Quality Assement around Solid Waste Landfill Area - A Case Study, Udnoor, Kalaburgi, Karnataka”, at R.V.Engineering College, Bangalore, Karnataka. 3. Attended a two day International Civil Engineering Symposium (ICES-2015) held on 12-13 March, 2015 and presented a poster on the topic “Ground Water QualityAssement of AppaLake”at VIT University, Vellore, Tamil Nadu. 1. Attended Orientation course from 16/8/2014 to 12/9/2014 at ASC, University of Mysore, Mysore.